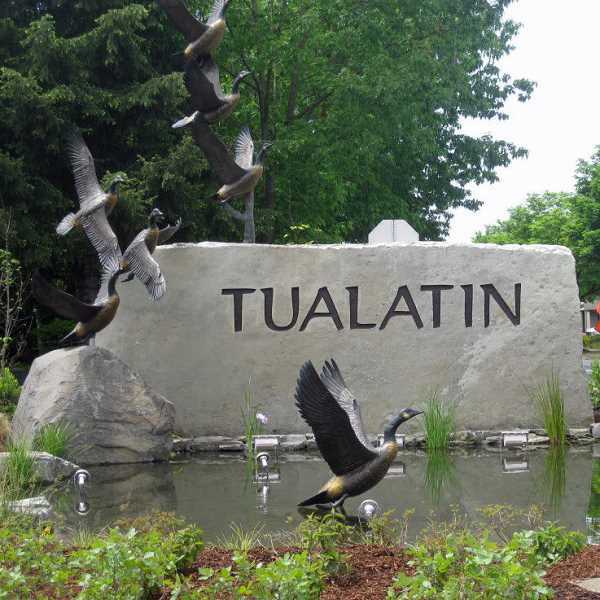 Two Tualatin residents will vie to become Tualatin's next mayor while only one of three open Tualatin City Council seats will be challenged in the Nov. 6 election. Both Frank Bubenik and Paul Morrison are seeking the mayor's seat currently held by long-time Mayor Lou Ogden. Ogden is term-limited out and can't run for another term. A third candidate, Troy Noland, had taken out paperwork but withdrew his nomination on Aug. 21, citing "time commitment" as his reason. Meanwhile, Maria Reyes has filed for Position 1, a seat currently held by Bubenik. Reyes, who has a bachelor's of science degree in human services from the University of Phoenix, works for the Salvation Army's Cascade Division. At the same time, Bridget Brooks is running uncontested for the Position 3 slot currently held by Jeff DeHaan who did not file to run for re-election. A licensed clinical social worker, Brooks holds bachelor's and master's degrees in social work from Wayne State University. Finally, Nancy Grimes is running for re-election to her Position 5 seat. She is being challenged by Chris Burchill. A University of Oregon graduate who holds a bachelor's degree in journalism, Grimes is a marketing consultant for KATU-TV. Burchill, who is retired and didn't list a previous occupation, holds a bachelor's degree in political science from Ohio Northern University. Today (Tuesday) is the deadline to file for both the mayor and council seats.